Iranian director Asghar Farhadi's The Salesman has won the 2017 Academy Award for best foreign-language film. The award was accepted by two prominent Iranian-Americans representing Farhadi, who boycotted the Oscars over US President Donald Trump's executive order banning visitors from seven Muslim countries. 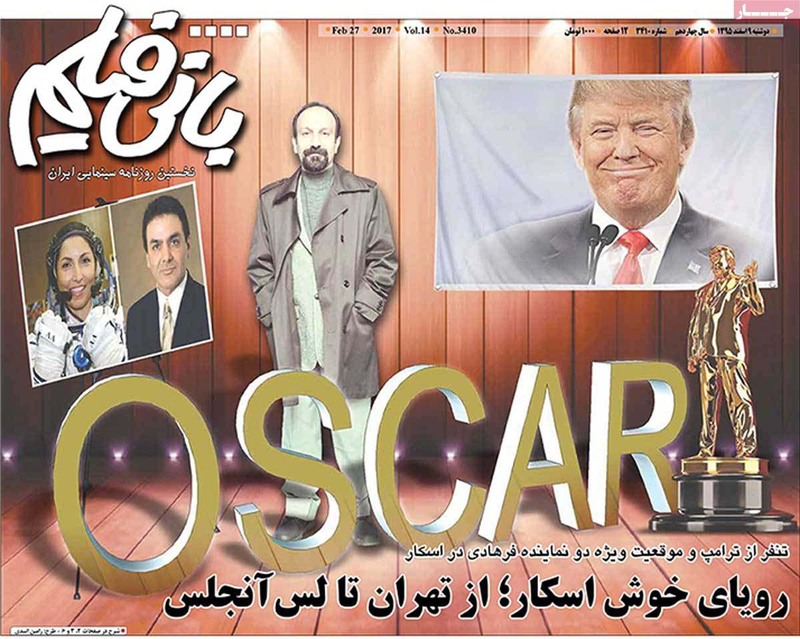 Asghar Farhadi on front page of Iranian film daily "Bani Film"
"My absence is out of respect for the people of my country and those of other six nations whom have been disrespected by the inhumane law that bans entry of immigrants to the US," Ansari said. "Dividing the world into the 'us' and 'our enemies' categories creates fear, a deceitful justification for aggression and war." Before the Oscar ceremony on Sunday, The Salesman, was screened in London's Trafalgar Square thanks to the request of London Mayor Sadiq Khan who referred to the ban as "cruel" and "shameful." "At a time when people are talking about travel bans, I want to welcome people...At a time when people are motivating communities to divide, I want to unite them," he added. Last month, Farhadi said that he would not take part in the awards, even after receiving special permission to attend. He has announced that Ansari, famed for being the first female space tourist, and Firouz Naderi, a former director of Solar Systems Exploration at NASA, will be his representatives at this year's Academy Awards. According to Khan's office, around 10,000 people took part in the screening, which was also the film's UK premiere. "Despite our different religions, nationalities and cultures, we are all citizens of the world. I'm very proud to be a member of this global family. I'm sorry not I'm not able to be here with you but I will be there in spirit," said Farhadi in a recorded message played at the beginning of the film. On Monday, Iranian Foreign Minister Mohammad Javad Zarif also took to Twitter to praise the cast and crew of The Salesman for choosing not to attend the event in person to protest Trump's insulting Muslim ban. 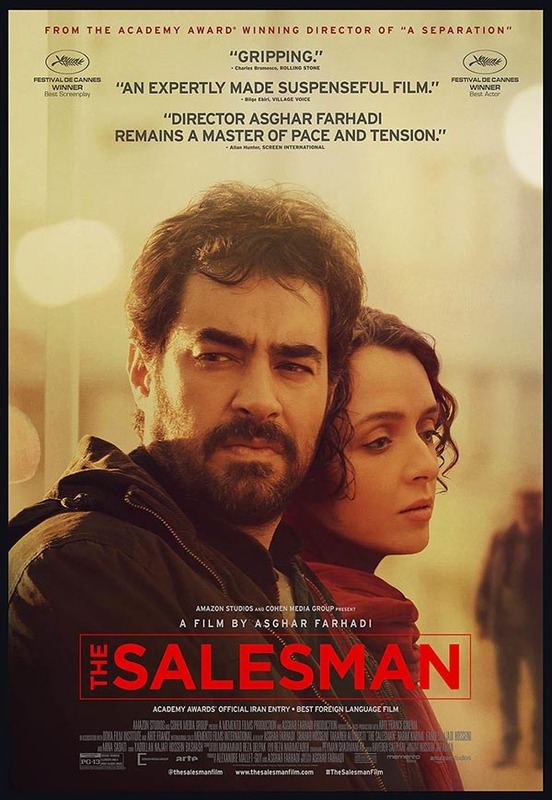 The Salesman has already won two awards at the 2016 Cannes Film Festival last May and was also nominated for a Golden Globe and a Critics' Choice Award among several other nationwide and universal recognitions. Farhadi won Iran's first-ever Academy Award with domestic drama A Separation in the 2012 Oscars.